Tools like chainsaws and nail guns are tons of fun, but tape measures? It's hard to get excited about the ones that don't involve lasers. 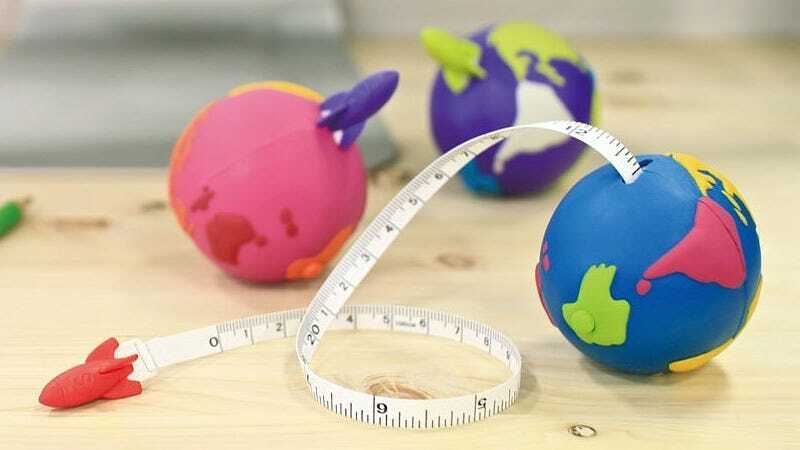 But a measuring tape that looks like a tiny earth with an even tinier rocket that blasts off leaving a trail of inches and centimeters? You've got our attention.